2017 Krypt3ia Kryptos Crypto Challenge! You have until 7.30.17 to complete. No one managed to crack the cipher it seems so here is the solution for it and how it was made. As you can see the image that I used as a logo for this contest was not the cipher itself. 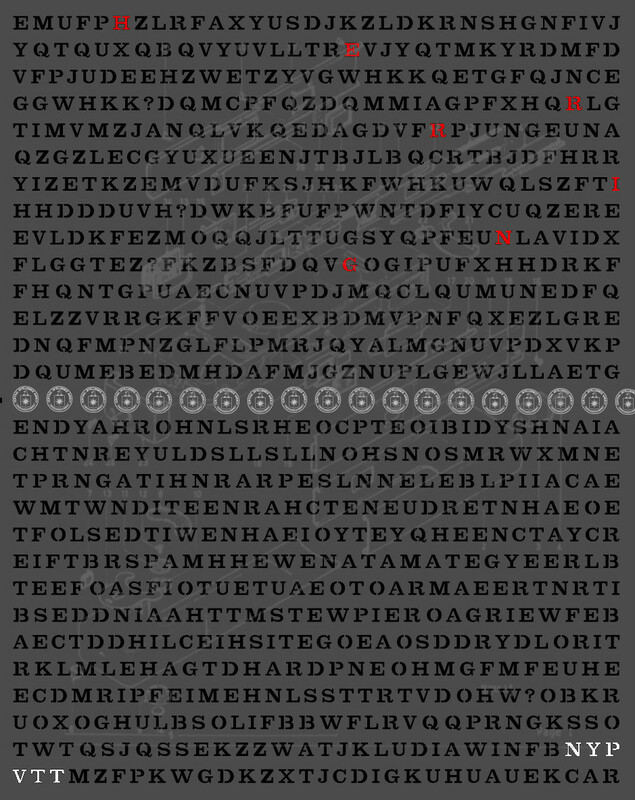 However, it did hold a clue, in fact one of the two keys to the initial cipher was embedded within the image. The image itself is a rendering of the last part of the KRYPTOS art piece at CIA HQ. In the text in white within the image above had you Googled, you would have come up with “BERLIN” This was key one to the initial cipher. The rest is below.